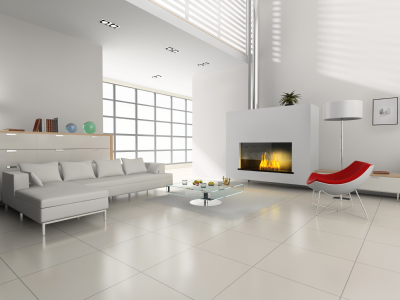 Which Type Of Gas Fireplace is Right For You? Since gas fireplaces don’t have to contend with the mess of wood, ash, and general messiness of wood-burning fireplaces, they are much easier to maintain and keep clean. However, things like dirt and dust buildup can clog up ports of your gas fireplace. The wire connections of your unit can also become loose or dirty through the normal wear and tear of operation. Lack of proper cleaning and maintenance can lead to inefficient burning. As well, gaskets can wear out and possibly allow poisonous carbon monoxide into your home. An annual inspection, cleaning, and adjustment of your gas fireplace is recommended to correct and prevent these problems. There are many gas fireplace experts that specialize in just such maintenance work. However, there are several things that you can do yourself. Once a month, whether you have used your fireplace or not, clean your unit’s glass on both sides with a glass cleaner. This will help prevent the glass from becoming cloudy. If left uncleaned for a long period of time, this cloudy effect may become permanent quality of the glass, preventing you from enjoying the full effect of your fire. While the glass door is opened, visually check and see if there is any dust, dirt, or spider-web buildup inside your fireplace. If so, gently clean the buildup away. Then, make sure the glass door is fit securely. You can do this by checking all of the bolts that hold the door in place and making sure that they are fastened tightly. Replace or tighten any loose materials immediately. This will help prevent carbon monoxide from coming into your home while your fireplace is in operation. During this monthly cleaning, check if the gasket is cracked or is missing pieces. The gasket should be located either on the glass door or outside around the firebox. Check your owner’s manual for the exact location. If the gasket is damaged in any way, get it replaced immediately. Finally, if your gas fireplace is vented, check your unit's outside vent. Scan and see if there is any debris like leaves or nests in or around the vent. If you do find something, carefully remove the debris to be sure that your fireplace runs smoothly. If the vent is damaged, be sure to replace or repair it.